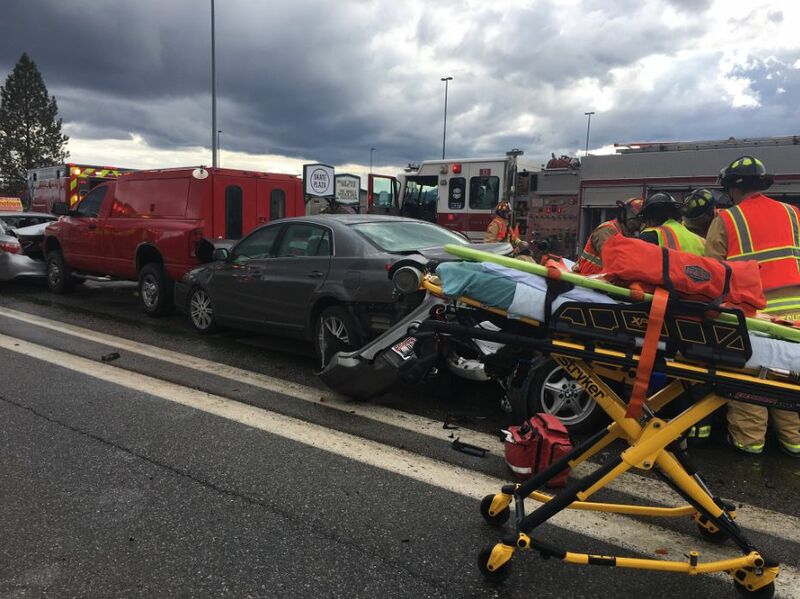 COEUR d'ALENE, Idaho - One driver was taken to the hospital after a crash involving five vehicles on Highway 95 in Coeur d'Alene. According to Idaho State Police, 30-year-old Jared Storlie was driving a Ford F150 truck when he collided with four vehicles stopped at a red light at the intersection of Dalton Avenue. 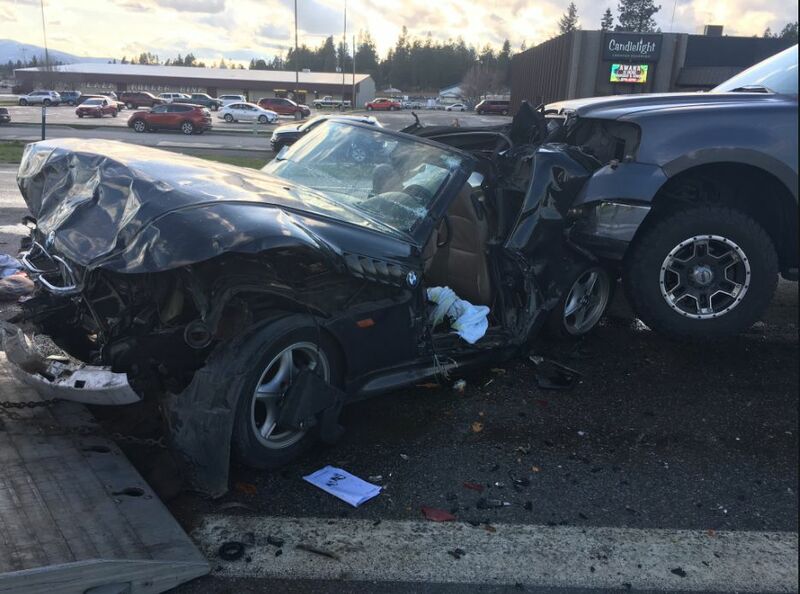 The driver of a BMW Z3, Larraine Jordan, 74, was taken to Kootenai Health. The drivers of the remaining vehicles, Juliette Mixon, David Roes and Stanley Guan were not injured. All drivers were wearing seat belts and no citations were issued. The southbound lanes of the highway were completely blocked for 1.5 hours. The investigation into the crash continues. COEUR d'ALENE, Idaho - Idaho State Police are investigating a crash on US 95 in Coeur d'Alene. Southbound lanes of the highway near the intersection of Dalton Avenue are completely blocked. Idaho State Police is asking people to please avoid the area.